Today, most mobile applications use geo-referenced points of interest (POIs) on location-based maps to call the user’s attention to interesting spots in the surroundings. The presentation of both, maps and POIs, is commonly location-based but not yet adapted to the individual user’s needs and situation. 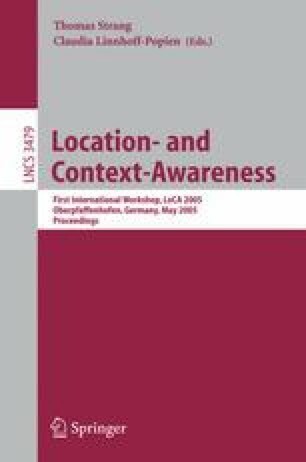 To foster the user’s information perception by emphasising the location-based information that is most relevant to the individual user, we propose the xPOI concept – the modeling, processing, and visualisation of context-aware POIs. We introduce a data model for xPOIs, supporting the exchange of xPOIs and define an architecture to process and present xPOIs in cooperation with a mobile information system. With the integration of context-awareness into POIs, we contribute to the development of innovative location- and context-aware mobile applications.